Easier. Effective. Accurate. Say Hi to Semantic Search. 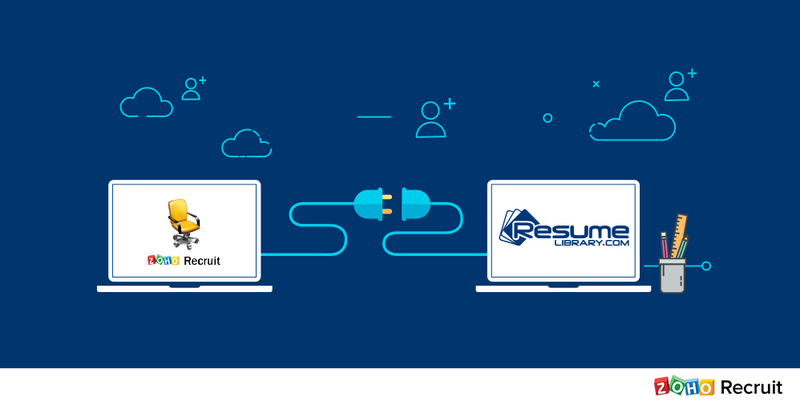 Both recruitment agencies and in-house recruiters need an easy-to-use search console that pulls candidates to match your jobs in pipeline. That’s a fact. With this in mind, we’ve spent months analyzing hundreds of job descriptions, gathering up to five times as much in-product feedback. We took all these findings and used them to craft a fresh approach to pairing the right candidates to the right job opening. Plus, you can now search for candidates close to you, down to the zip code. Today, we’re excited to preview our new matching tool. More effective. More accurate. Easier, faster filtering for your candidate data. With so many jobs in your database, you might miss out on the perfect fit for a particular opening. 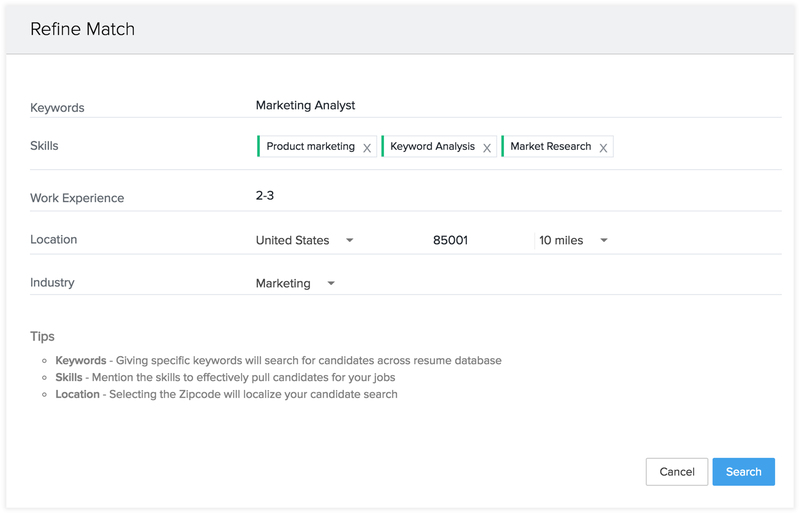 To gather a list of the best candidates, Zoho Recruit utilizes a deep search that puts all the results directly to your screen. What’s the bonus for me? Associate candidate profiles right away. The Semantic Search not only stacks candidate profiles on your screen, but also gives you a percentage rating for each record. This enables recruiters to associate candidates in literally seconds, and also corrects for bias. We have incorporated the Quick Actions tab directly into the candidate profile, allowing recruiters to send bulk emails and submit candidates for clients’ approval. How do I get skill-specific candidate matches? Refined results every time. You can now specify the skillset you’re seeking. From keywords to tags, every filter is built to pull up relevant candidates. Choose from a group of skills, both must-have and nice-to-have, to find a match for your job requirements. Click “Refine Match” and you’ll see our new skill suggest tool. Filter by top keywords, suggested skills, the industry, or work experience. Zoho Recruit will start displaying your results, making it much easier to find who you’re looking for. And the best part? 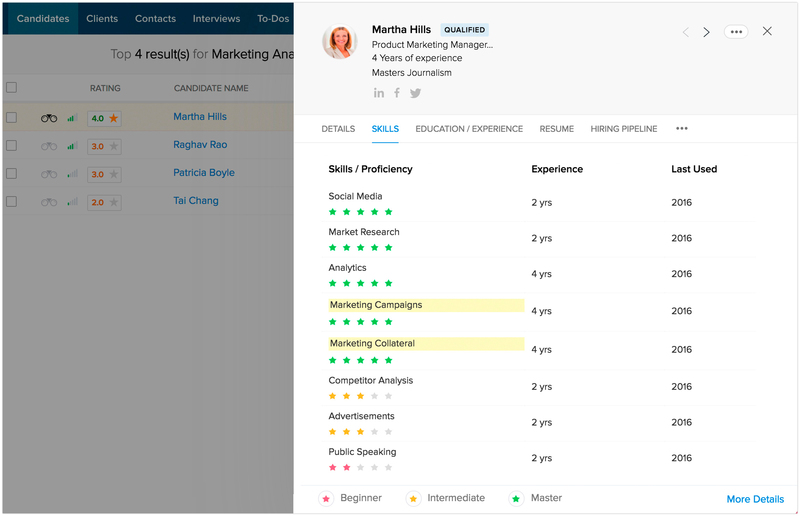 Our intuitive “quick preview” provides a 360-degree-view of candidate data grouped in one place, helping you match candidates to openings. 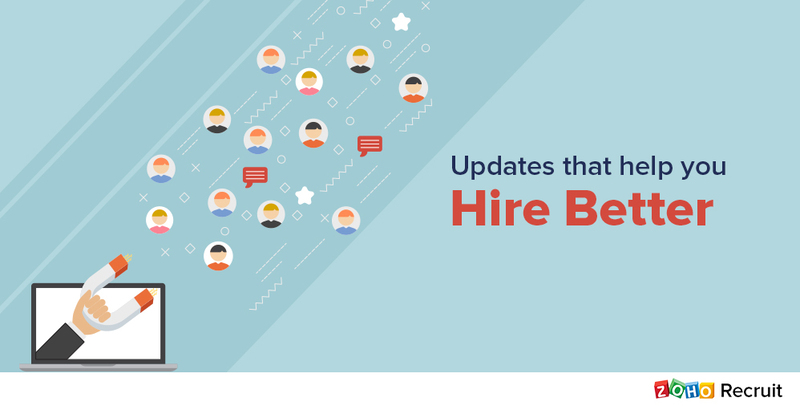 An update that’s a big deal – Search candidates near you. Radius Search is the most powerful addition to our candidate-matching tool. You can use skills and set candidate location at the same time in Zoho Recruit. When you opt for both, the search results will list candidates matching both the filter and location applied. Simple. This tool guides hiring managers and recruiters through data, delivering the most relevant results to you. Comments? Questions? Feedback? We love to hear from you. Write to us at support@zohorecruit.com. 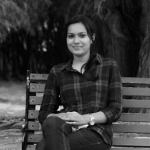 Stay tuned for more updates from Zoho Recruit.